Jonathan Myles-Lea in 1986 aged seventeen. (Self-portrait photograph). Many people will be perplexed to discover that Francis Bacon has been one of the most important influences upon my career as an artist. Our lives and our work couldn't be more different, but it was Francis who first told me that I must become a professional painter. My awareness of Bacon began at a very early age. I'd been astonished by his triptych; 'Three Studies for Figures at the Base of a Crucifixion' (1940), which I'd seen at the age of eight at the Tate Gallery during one of my annual visits to London with my mother in 1977. (We'd travelled to London for Queen Elizabeth II's Silver Jubilee). Encountering such a confusing set of images confused and excited me at the same time. The vivid orange colour Bacon had used as the background for three canvases attracted me and disturbed me at the same time. I found the figures simultaneously repulsive and fascinating. In fact, the triptych remained in my mind far more powerfully than the landscapes by Constable, Gainsborough and Turner. My love for those works came much later, but the shock of seeing those three strange canvases by Bacon was visceral and immediate. It was Melvyn Bragg's television documentary, directed by David Hinton however, broadcast by London Weekend Television in 1985 that really initiated my deeper interest in Bacon. This documentary was made long before YouTube and social media existed, so it was an incredibly rare and precious opportunity to see into the life and studio of a living artist. Bragg interviewed the artist by showing him slides of works of modern art, both by himself, and by other artist projected onto a screen in a darkened room, and then, later the same day, over numerous bottles of red wine in a restaurant. It was the first time I'd seen a living artist speaking passionately about painting. It was also the first time I'd seen anyone really having fun and being deliciously irreverent. I was hooked. My obsession with photography began at the age of ten, when I asked my parents to buy me an SLR camera. I taught myself how to develop and print my own pictures, and a year after the Bacon documentary had been broadcast, I began to experiment by taking photographic self-portraits at boarding school. On one occasion I set the camera up on a tripod and moved my head into various positions during a long-exposure. I wanted to recreate the blurred motion effect I'd seen in many of Bacon's painted portraits. My love of everything from Greek mythology to WW1 has always meant that I have one foot firmly in the present, and the other, equally firmly, in the past. I feel this photo captures this duality perfectly. I moved to London 1989, after a gap year in Oxford and quickly found myself a job at Channel 4 Television to supplement my income while I studied for my BA in The History of Art & Architecture at London University. I've always been rather forthright, and so within weeks I'd secured a rather well-paid position in the Press Office, which was full of rather fascinating and outrageous alcoholics. One of whom, (whose name I will withhold for the time being), took a shine to me and took me under his wing. More than twice my age, this colourful mentor recognised my budding artistic talents, and one evening took me to an exhibition of photographs at Birch & Conran Fine Art in Dean Street in Soho. The gallery was packed so within a couple of minutes we decamped to a private club next door on the first floor of number 67. After stumbling up a narrow staircase whose walls were painted with bright green, high gloss paint, we arrived at a heavy door, from behind which I could hear raucous laughter and jazz piano. As my eyes adjusted to the scene before me, the first person I saw was the painter Maggie Hambling, standing by the bar. Her arms were folded and in one hand she held a cigarette holder. Her huge mane of hair was backlit and smoke swirled all around her. I thought there was something of Marlene Dietrich about her. On a stool by the fireplace on the right hand side of the room sat George Melly, the jazz singer and surrealist art expert, who I'd met recently because he was presenting quiz show about art on Channel 4 TV. He was wearing a crimson pinstripe suit and a bright red trilby was propped up on the mantlepiece. 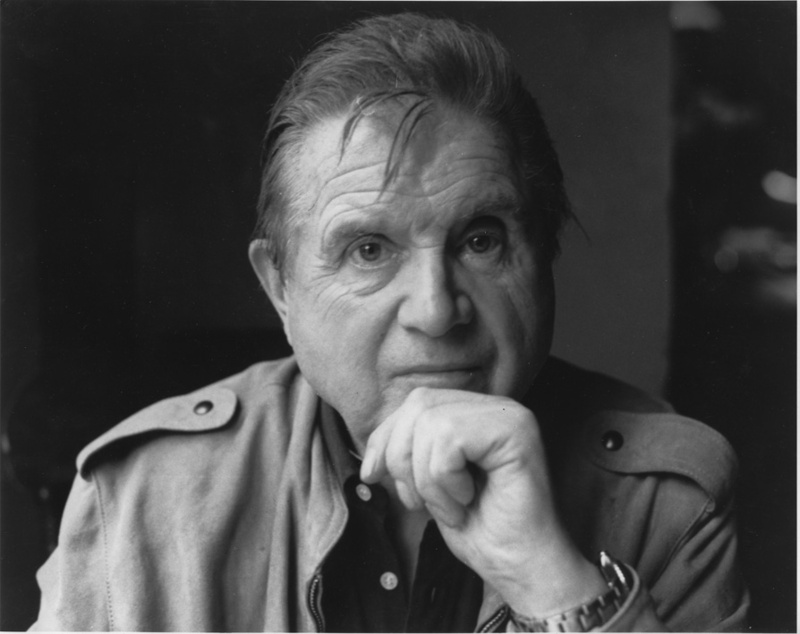 Right in the centre of the room, standing bolt-upright in a black leather jacket, holding a glass of champagne, was Francis Bacon. I had just entered the inner sanctum where many of the country's most important artists had met and drank since the end of the Second World War - The Colony Room Club. And in front of me - was the Queen Bee. For some unfathomable reason I was dressed that day head to toe in white. It was mid summer, and terribly hot. But, as anyone who lives or visits London will know, wearing anything white in that city is a sign that one is either insane or is visiting from Jordan. The air, even today, is laden with all manner of pollutants, but in the 1980s, decades of filth had been absorbed by the seat of every bus and underground train, and it was hard to retain a fresh look in light-coloured clothing for more than a hour. On this particular day, however, I'd travelled straight from Channel 4's offices in Charlotte Street into Soho by taxi, and therefore my outfit had the appearance of pure, driven snow. A slight hush fell upon the room as my companion gently placed his hand into the small of my back. Pushing me, rather too assertively I thought, into a space in the centre of the room, directly in front of Francis. As he did so, he whispered the words: "Baptism of Fire!" into my ear. And then, more loudly: "This is Jonathan. He's a Christian!" The announcement provoked exactly the reaction he had hoped for. As I abruptly came to a halt, inches from Francis's face, like a new yacht meeting a battle-scarred submarine, the room fell very quiet. Ian Board, the then owner of the Colony, who sat holding a vodka and soda on a high stool just inside the door behind me, broke the silence. "A Chrissssstian?!" He roared. "A Chrissssstian?! Get 'im out! We don't want no Chrissssstians in 'ere dear!" I glanced behind me to see a face so ruddy it looked as though it were about to explode - nose first. But before Ian could say another word, Francis had grabbed me by the forearm and said, rather loudly. "Oh shut up Ian!" and then, directed at me, (with protective tenderness, and a great deal of intoxicated sibilance): "I find it fasssssscinating if aaaaaanyone believes in aaaaanything. Come over here and tell me all about yourself". He led me to a window seat, and although for a moment I felt as though I were a lamb being led to the slaughter, my anxieties were immediately subdued by Francis's gentlemanly manner, and the bottle of champagne which he pressed into my hand. The room returned to its previous noise level and the piano again began to play. What should I say? I decided to turn the conversation immediately over to Francis, so I began by asking him: "What are you most interested in?" As soon as I'd asked the question I felt rather embarrassed. It was hardly a very sophisticated question, and could be interpreted as rather impetuous. However, Francis was obviously rather used to being interviewed and so he had an answer ready immediately. Without any hesitation he said: "Well, I'm interested in evil". He then stared at me in order to study my response. My companion interjected protectively: "Oh Francis. That isn't very nice". To which Francis snapped back: "Well I am!" I then explained that I was studying the history of art rather than going to art school to paint, and this pleased him enormously. "You made absolutely the right decision!" he said, suddenly sobering up and engaging me directly and looking straight into my eyes. "I avoided art school like the plague! So... you're a painter?" - "I am!" I replied with total confidence. "In fact I've painted George's portrait". I pointed at George Melly, who had tilted his head backwards and was blowing smoke up into the air as though he were inflating a balloon. "Have you indeed?" provoked Francis. "When was that then?" as he elbowed George in the thigh. "He was sixteen". George replied. "And I told him never to use acrylic again. Didn't I?" Astounded that he had remembered, I explained to Francis that five years earlier I'd painted a three-quarter length colour portrait of George in a striped jacket by copying a black and white photo I'd found in a magazine, and then I'd taken it to one of his performances at Southport Theatre, and showed it to him after the show, asking for his honest appraisal. He liked it very much, and signed the back of the picture, but he suggested I experiment with oils as soon as possible. My portrait of George Melly, 1985. Francis's interest was clearly piqued. "Was it any good George?" - "Very good" said George. "Well, perhaps you could bring me some of your work so I can have a look at it some time?" I paused, waiting to see if he was serious. And, as if he'd read my mind, he added; "I'm serious. I'd like to see what you do. Drink up dear!" And with that, we were on our feet. Someone had just walked into the Colony that Francis didn't like. After hissing loudly in the unseen person's direction, he said "Right! We're off! I want a ham sandwich! Would you like to join me?" Without hesitation I said; "Yes, of course" but I didn't want to risk rejection on account of my vegetarianism, so I remained quiet about my dislike of ham, or any other meat for that matter. The first level of serious intoxication started to kick-in as we were half way down the green staircase. It had now assumed the appearance of what I imagined was a 'log-flume'. (A sort of meandering ride at a pleasure park). I more-or-less slid down the steps. To my horror, the next thing I remember was coming to my senses sitting in a toilet cubical at L'Escargot with Francis banging on the door and shouting; "Are you alright?! - Unlock the dooooor!!" My white shirt and trousers were spattered with red wine and my head was spinning so fast I felt like I was on board a ship in a gale. (I say, "to my horror" mainly because I have no recollection of what was probably one of the most important conversations in my life. Luckily however, Francis remembered everything I'd said, because he later recounted details such as where I'd gone to school and how much I loved Velazquez. Evidently I'd said all the right things, despite being so inebriated I'd blacked out before desert. My next memory was politely asking a taxi-driver to stop for a moment while I was "unwell" - right beside a queue of people waiting to enter Ronnie Scott's nightclub. Several people cheered as I evacuated myself into the gutter. Francis later told me how proud he was of me that I'd been polite enough to alert the driver. Back at the studio in Reece Mews Francis furnished me with a very welcome cup of very hot tea and a small plate of beans on toast. My next memory was waking up on the wooden floor with my head on Francis's rolled-up red and blue striped, towelling dressing gown. I attempted to open my eyes but all I could see was a bright skylight spinning above me. I felt terrible. I had such a pain in my stomach and my back ached from having slept on the floor. My snowy white trousers now looked like a canvas by Cy Twombly. Francis offered to let me use the bath, but I felt nauseous so I explained that I just needed to go home. He pushed a fifty pound note into my hand and said. "Take a taxi". I tried to refuse by he insisted. As I stumbled down the stairs clinging onto the rope handrail he shouted after me: "And bring me some of your paintings - if you like?"